Note: click the link to watch full episodes on dramacool. ‘What’s wrong with Secretary Kim’ has to be one of my favorite k-dramas of 2018. I had been reading the webtoon prior to the show’s release and had fallen in love with the characters. But like every webtoon adaptation, I was afraid that maybe the casting choices wouldn’t be right or perhaps the drama would be a total let down. However my fears were put to rest as soon as Park Seo-joon appeared on screen as Lee Young-joon. Park Seo Joon portrayed the role of a narcissistic perfectionist (A typical chaebol), who although is extremely capable, due to his self-absorbed nature makes it impossible for people to feel comfortable around him. His flawed personality and almost parasitical dependence upon Kim Mi-so, his secretary, makes her exasperated and finally, after 9 years, she decides to quit her job. The moment she declares her resignation, we see the epitome of warmth emerge from within Lee Young-joon, as he realizes that, to him, she was not just a mere secretary. With great onscreen chemistry, hidden memories and soul shattering secrets from the past, this drama breaks free from the typical standards of a Cinderella-Chaebol k-drama. ‘My ID is Gangnam Beauty’ is another spectacular k-drama that is based upon a webtoon. In my opinion, the original webtoon is a phenomenal piece of work and the drama adaptation was nothing short of a masterpiece itself. The story revolves around Kang Mi Rae (Lim Soo-Hyang), a timid individual who has dealt with bullying all her life. In order to escape the daily harassment she decides to get plastic surgery, but even after she becomes a ‘beautiful woman’ she cannot escape from people’s harsh criticism and her own sense of self worth. Cha Eun-Woo as Do Kyung Seok, plays the role of a handsome man who, due to his past, isolates himself and does not judge people based on their appearances. The two individuals meet and give each other the warmth and support that the other deserves. Although Cha Eun Woo is relatively new to the acting scene, his awkward portrayal of Do Kyung Seok was extremely endearing. “The Beauty Inside” is a hilarious yet touching drama and I couldn’t stop myself from falling in love with it. The story revolves around Seo Do-Jae (Lee Min-Ki), who is the executive director of an airline company and is perfect on all accounts, however, he suffers from a disability that he is unable to recognize anyone’s face. 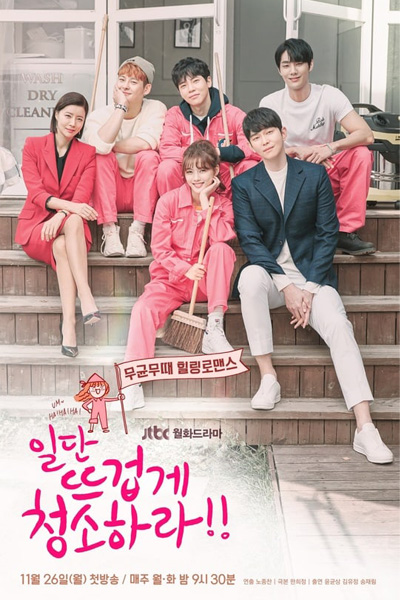 The other protagonist of this drama is Han Se-Kye (Seo Hyun-Jin), a popular actress who is the victim of a peculiar condition that causes her to change her appearance every month. The two leads cross paths, and Seo Do-Jae realizes that he is able to recognize Han Se-Kye’s face. And from there, their lives change forever. For all of those that are tired of seeing the same redundant story plots and cliches being repeated constantly in k-dramas, Memories from Alhambra is a breath of fresh air. First off with main protagonists like Hyun Bin and Park Shin-Hye, you know it can’t go wrong. 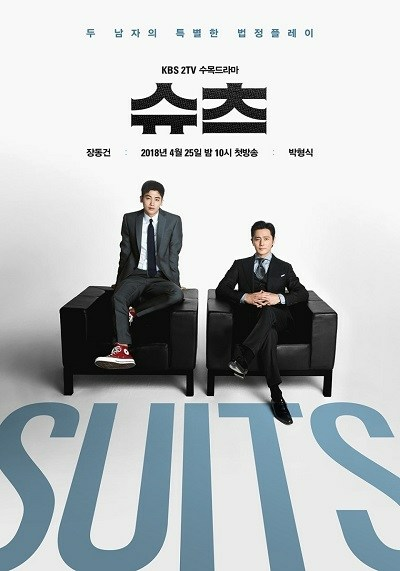 The premise revolves around Yoo Jin-Woo, the CEO of an investment company, which is going downwards due to the betrayal of his friend. After discovering a revolutionary AR game, he sets off to Spain to find its creator. However, when he gets there, he is informed that the original creator has gone missing. Together with Jung Hee-Joo, the creator’s sister, he becomes entangled in the AR world of medieval battles and adventure. This drama is based off of a webtoon by the same name and is definitely worth the watch. The story revolves around two strikingly opposite individuals who end up falling in love with one another. Gil Oh-So (Kim Yoo-Jung) is an employee at a cleaning company and doesn’t care about cleanliness or the upkeep of her appearance. Whereas, Jang Seon-Gyul (Yoon Kyun-sang) plays the role of a germophobic perfectionist who cringes at the sight of even the tiniest of messes. He is also the CEO of the company where Gil Oh So works; initially he is disgusted by her and opts to avoid her, but as time goes on he inevitably falls for her personality and charm. This drama revolves around the chance encounter between a divorced woman, Cha Soo-Hyun (Song Hye-Kyo), who is also a successful CEO of a hotel, and a young and spiritually free man, Kim Jin-Hyeok (Park Bo-Gum). 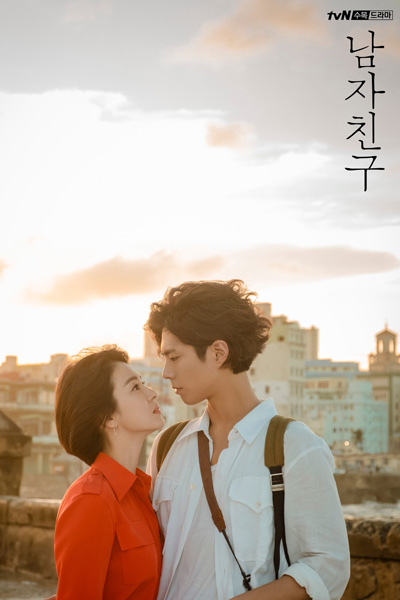 The two meet each other in Cuba and sparks fly instantly, they later reunite in Korea and Kim Jin-Hyeok begins to work at her hotel. The show has a slow pace but the beautifully portrayed emotions are worth the wait. 7. Are you human too? “Are you human too?” definitely deviates a lot from the typical K-dramas we are used to seeing; but hey, over here in the k-drama community, we welcome innovation, don’t we? 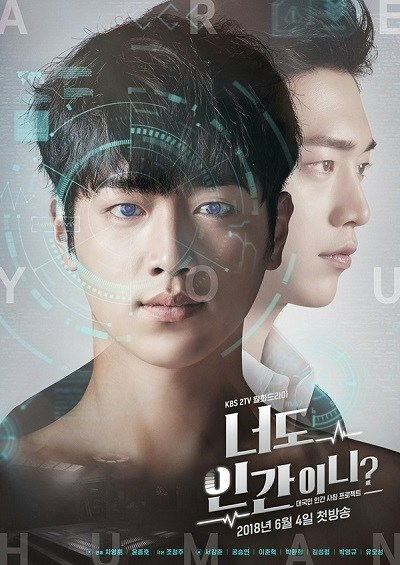 It is a sci-fi mystery series that revolves around Nam Shin (Seo Kang Joon) who is a third generation chaebol. The story sets into motion as Nam Shin falls into a coma due to a group of people who attempt to take his life. On account of his absence, Nam Shin’s mother, Oh Laura, a genius scientist decides to send a robot to take his place; Kang So Bong is later hired as Nam Shin’s bodyguard but she begins suspecting that there is more than what meets the eye. 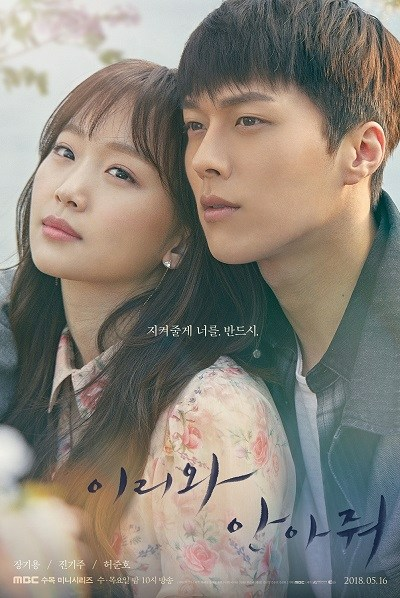 As Kang Bo Song discovers more and more of the truth behind Nam Shin, she realizes that, she has in fact fallen for a robot. First of all, let me say that I was so grateful that I got to see Do Kyung Soo’s impeccable acting skills once again. He played the role of a crown prince, Lee Yool, who as a result of a failed assassination attempt, ends up losing his memory and living under another identity. However, before losing his memory, he had made a royal decree that old bachelors and bachelorettes must get married in order to reinstate the balance of energies across the Joseon dynasty. Due to this decree, he is forced to marry Hong Shim (Nam Ji-Hyun), the oldest unmarried woman in the village. Hong Shim is the head of the first private detective agency in Joseon. The third charm is a highly emotionally charged and melodramatic k-series about two individuals loving and destroying each other on the path to finding themselves. Nam Ji-Hyun (Seo Kang Joon) is a neat, detail oriented and highly sensitive college student, who likes to plan out every aspect of his life. Meanwhile, Young-Jae (Esom) is a spontaneous and free-spirited girl, who likes to live life at its fullest. The two meet on a blind date and from there their relationship begins. Be cautious of watching this show as it isn’t a typical romance drama that will make you feel good; this drama depicts a realistic and dark perspective of life and love, and the ending is hard to swallow for some. This drama has wonderful cinematography and if you have more mature and intellectual tastes, you should definitely watch it. This is an intense drama revolving around an insidious conspiracy to colonize Korea. It is about a young man named Choi Yoo Jin. He is born into a house servant’s family and manages to escape to the United States. Later he returns to Korea as a U.S. Marine Corps Officer and falls in love with an aristocrat’s daughter named Go Ae-Shin. At the same time, Choi Yoo Jin finds his world once again turned upside down as he discovers a sinister plan against his home country. It’s always such a treat to see Lee Sung Kyung taking on new roles and developing as an actress. ‘About Time’ is a romance fantasy drama about Choi Michaela, who dreams of becoming a musical actress. She has the ability to see a person’s life span and thus can foresee a person’s death before it actually occurs. Lee Do Ha (Lee Sang Yoon) on the other hand, is a man that not only has the ability to stop her time-clock, but can also extend her life span. The two meet under unlikely circumstances and thus begins their whirlwind romance. 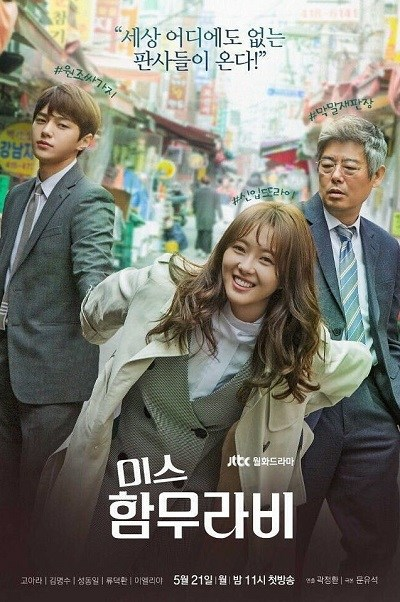 Ms.Hammurabi is one of the best legal dramas of 2018 and revolves around the lively and spirited character of Park Cha O Reum (Go Ara), who is a rookie judge and believes in an ‘eye for an eye’ policy. She has a strong sense of justice but does not blindly follow authority and rules like most of her colleagues. She is joined onscreen with many other judges, all believing in their own kind of justice and have different approaches when it comes to dealing with cases. Together with other judges like Im Ba Reun and Han Se Sang, she develops and grows as a person. This drama has an ensemble of amazing actors, with Jang Na Ra playing the warm-hearted and headstrong protagonist, Oh Ssu-Ni , who falls in love with Emperor Lee Hyuk (Shin Sung-Rok). The drama is set in an alternate reality where Korea is ruled by a constitutional monarchy. However, as days go by she realizes the prince and his love for it isn’t what it seems and behind the veil of royalty lay horrible and dark secrets. 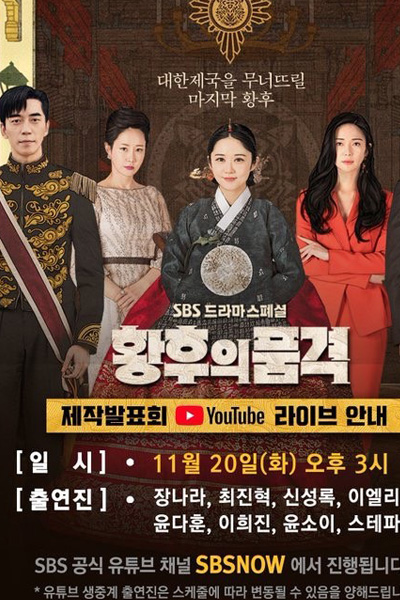 With no one she can trust, she turns to Wang-Sik (Choi Jin-Hyuk), the bodyguard of the imperial family and together they vow to take vengeance for all the pain they have suffered. The story line of this drama is really intriguing and always keeps the audience on their toes as they cheer for Oh Ssu Ni on her quest to bring down the royal family once and for all. I for one, absolutely adored this drama. It was beautiful ,emotional and just makes one think about life and how one takes everything for granted. The drama centers around a couple and the deterioration of their relationship. It reminded me of ‘Confession couple’, but the relationship and emotions in ‘Familiar Wife’ were much darker and realistic. 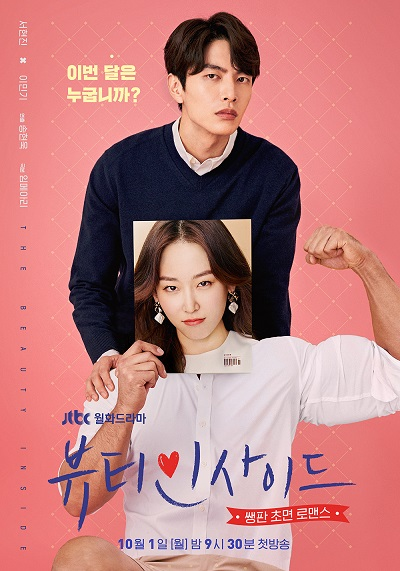 The two characters Joo Hyuk (Ji Sung) and Woo Jin (Han Ji Min), in the beginning of this drama were unhappy in their marriage and had a lot of marital and monetary issues. After a certain instance Joo Hyuk gets to travel back in time and alter the day, when he first met his wife. When he wakes up in the present he realizes he is no longer married to Woo Jin but is married to his first love. As you can probably tell from the title, this drama is about an unconventional lawyer. Bong Sang-Pil, played by Lee Joon Ki is a gangster that becomes a lawyer for the sole purpose of avenging his mother’s death. He tries to solve cases by using loopholes and throwing all rules and regulations out of the window. 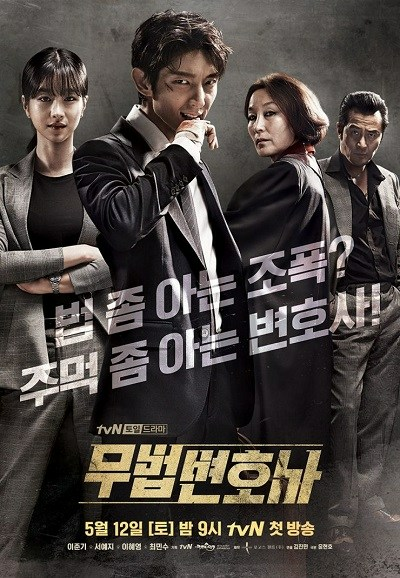 The events of the drama are properly set into motion when Bong Sang Pil hires Ha Jae Yi (Seo Ye Ji), a lawyer with a strong moral compass, who had once been suspended for beating up a judge. “Come and Hug Me” is one of the most tragically beautiful k-dramas I have ever seen. Its a tragic tale about two lovers that are forced apart only to be reunited time and time again by the hands of fate. Chae Do Jin and Han Jae Yi had fallen in love with one another when they were children, but were forced to part ways because of HanJae Yi’s father, Yoon Hee Jae, who was a psychopathic serial murderer that killed Chae Do Jin’s parents. Time goes by and Chae Do Jin becomes a detective in order to atone for his father’s heinous crimes. Han Jae Yi, on the other hand, becomes a successful actress,yet suffers from a severe panic disorder due to her disturbing childhood. Fate intervenes once again in the lovers’ lives and they stumble upon each other after twelve long years. After reuniting with one another, the two heal each other’s scars and try to move on from the past that haunts them. “My Mister” tells the story about a man (Lee Sun-Kyun) in his forties, who, throughout his life, has fought against the hardships that the world has thrown at him. The story sets into motion when he meets Ji-An (IU), a woman that has also braved the misfortunes that have come her way. Together the two individuals form a bond and try to help one another. Both the protagonists live impossibly difficult lives, and the entire drama feels as if its a part of real world. Harsh realities and dark subjects like poverty and infidelity are beautifully approached in this drama. More than the actual story, the relationships and interactions between the characters make this drama truly one of the best slice of life dramas I have ever seen. This drama is based on the American TV-series by the same name. The story revolves around Gong Yeon-Woo, an individual with a photographic memory and extremely adept cognitive skills. By chance, Gong Yeon Woo manages to get appointed as a rookie lawyer by Choi Kang-Seok, who is a gifted and flourishing lawyer in a prestigious firm. However, trouble ensues as one would expect, when it comes to light that Gong Yeon Woo doesn’t even have a license to practice law. Eulachacha Waikiki is the K-drama that made me laugh most of all last year; not only did it have the most heart-warming story line but the interactions and relationships between the characters were simply phenomenal. It felt like I was a part of their psychotic and dysfunctional family myself. 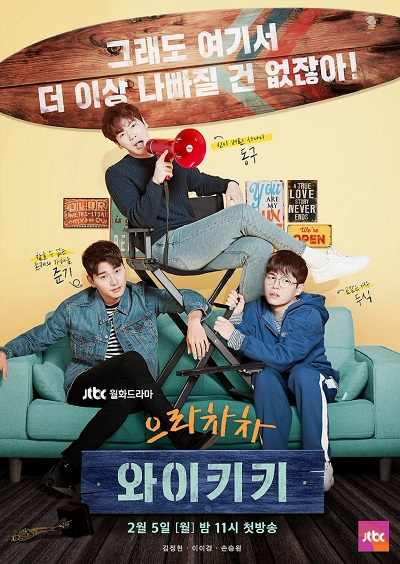 Eurachacha Waikiki is a story about Kang Dong-Goo (Kim Jung-Hyun), a man who dreams of becoming a movie director, Cheon Joon-Ki (Lee Yi-Kyung) who is the son of a famous actor but wants to become an actor through his own abilities and Bong-Doo-Sik (Son Seung-Won) who dreams to be a scenario writer. Together the three run a guest house Waikiki in Itaewon which is on the very verge of bankruptcy. But just as the three are about to lose all hope, a baby and a single mother turn up on their doorstep. The Grand Prince is a story about power and romance that revolves around two princes;Lee Whi (Yoon Si-Yoon) is an extremely handsome man who likes to paint and recite poetry.However, he has no interest in becoming King. Whereas, his brother Lee Kang (Joo Sang-Wook) is a highly ambitious man who wants nothing more than to have the throne for himself. 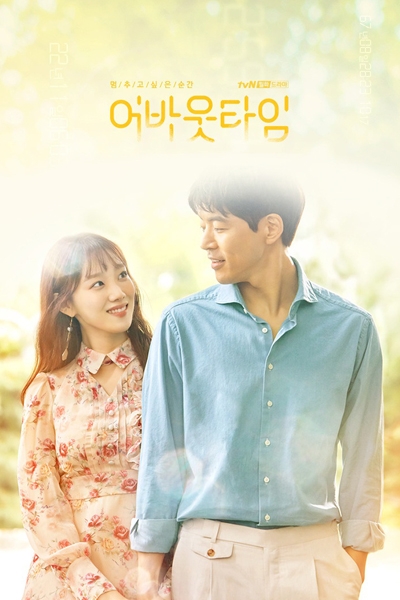 The two brothers end up falling in love with the same woman, Ja-Hyun (Jin Se-Yun), who is a beautiful woman belonging to a reputable family. So there you have it, my top 20 k-dramas in 2018. 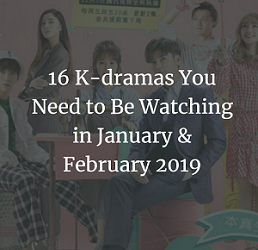 Honestly, there were so many great dramas that graced our screens in 2018. I hope that the streak continues in 2019 as well and that by the end of this year, we will have tons more dramas added to out favorite’s list! So lets cross our fingers and step into the new year with brimming optimism and hope. What are your favourite dramas in 2018? Do you have any recommendations? Let me know in the comments! none as far. maybe ‘Memories of Alhambra’ if they can execute it well because I guess it has nice special effects and hyun bin really did his job. fyi, I dropped ‘Whats wrong with secretary Kim’ as it’s kinda boring. ‘My ID’s Gangnam beauty’ was quite entertaining, tho. I saw 16 it these 20 and there wasn’t a stellar drama among any of them. 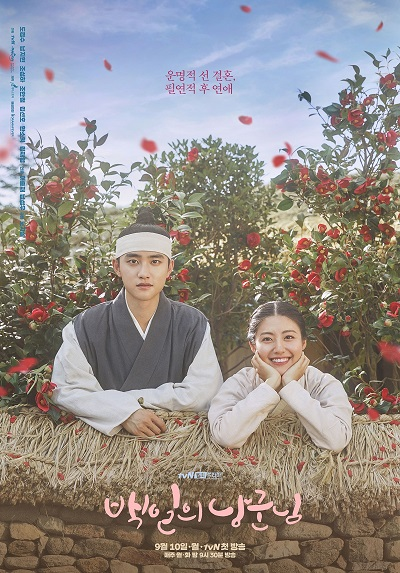 100 Days My Prince, Are You Himan Too, and Mr. Sunshine deserve an honorable mention…the rest of the 16 I saw were lackluster to downright boring. 2018 was NOT a banner year for excellent KDrama. Part of the problem has been the tendency that year to produce 50-episode dramas, which ALWAYS create a dragging plot so you lose interest. They should instead make 25 episode dramas with a sequel. Maintaining interest over 50 episodes simply can’t be done….the viewer is just worn out before it is over. I’m really surprised Thirty by Seventeen was left out. Yes, me too.. tq for recommendation.. Yes this was amazing love story.